Installed the first Milltek Sport's cat-back exhaust on my RS5 Sportback. Here is a preliminary video of before and after install. In person the tone is deeper than stock and a bit louder but not over the top. A nice change giving the RS a more aggressive sound. Full resonated and non-resonated systems are available. 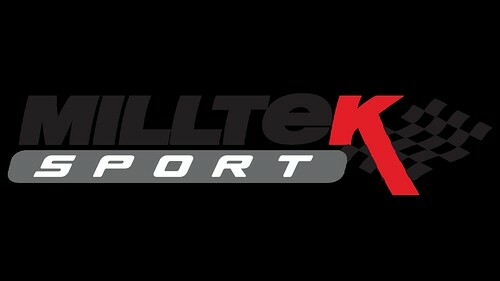 Stay tuned for more videos from inside and outside that showcase the change provided by the Milltek System. Sounds nice Martin. 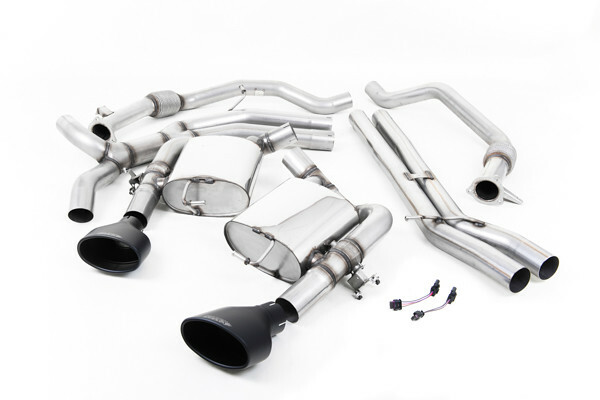 Did yours have the RS Sport Exhaust (for 'before' comparison'), or standard exhaust? Can you DM on IG me pricing for that same Milltek system? Yes, the before video is with the RS sport exhaust and sure thing. Does the system automatically change with the drive select buttons? My biggest disappointment with my RS5 is the loss of the V8 rumble from my last car. The flat 6 in my Porsche certainly sounds better than the audi V6. I would be interested in a upgrade as long as it doesn't boom. I don't really understand what the options mean in that regard. How much is something like that? Yes it does. Maintains the same valve functionality as the OEM system, reusing the valve actuators. Allows for a more civilized drive in Comfort/Auto in city normal driving with closed valves and then louder in spirited driving in Auto and Dynamic. A clip from a few different runs today. The Milltek Race (non-resonated) system is now available. This provides the next level for the audiophile looking to have their RS5 sing. With closed valves, the sound is moderately louder than Stock under normal driving and cruising conditions. Step on the gas and it comes alive. Open valves, takes it to another level where you hear all the snap, crackle and pops. For those who want to wake their neighbors if desired, the Race system is the way to go. Sounds great. Question how much more aggressive than the OEM RS Sport exhaust? What also is difference from resonated and non-resonated? I think I can tell/figure out that Race will be louder and more agressive then Road version right? What do these baby's usually go for? Fitment issues? I've heard the AWE Touring rubs against the drive shaft is that correct? Ouch! The Road+ (partially resonated) is moderately more aggressive compared to the OE RS exhaust while the Race (non-resonated) much more aggressive. Under normal driving conditions with moderate acceleration, both systems are very similar to the OE exhaust but they differentiate once the gas is applied. I didn't go with the Race initially worried that it would be too loud for daily family use but after having it now for a few days, it's not a concern. As far as fitment issues, there were none with the Race. There were some with the Road +. Mind you, neither of these systems have been test fitted by Milltek as they do not have the RS5 Sportback in the England. I decided to test out the RS4 Avant based on the S5 SB and S4 Avant sharing the same system. The Road+ fit issues may be related to some compressed piping and not allowing for full adjustment but don't have a final cause at this time. I will wait for Milltek to get their hands on the SB to confirm the Road+ as I believe the Race really will be the preferred system. For pricing, they are the 2600-2900 USD range, depending on the options and tip selection. As for the AWE, currently the SB version is being developed on one our cars and will be available soon. I don't have an ETA or price list for them yet. For you fit query, I know there have been some who have had issues but I can't speak to them as they weren't my customers and don't have details. Thank you for bringing that very subject up. I have been curious about those members who have had problems with the AWE exhaust systems and seeing the AWE is an AW sponsor, the AWE rep on here has (seemingly) never stepped in or addressed any issues. I know you sell AWE and with AWE being a sponsor you may be reluctant to say too much but I am considering an exhaust system switch and have some concerns. I live about 45 minutes from AWE and would probably contact them about an install — but I do not want the fitment / installation issues that some of our members have identified. Any direction would be appreciated, or if you want, PM me.